Born in Montréal, Andrew Steinmetz is the author of a memoir (Wardlife) and two collections of poetry (Histories and Hurt Thyself). His novel, Eva’s Threepenny Theatre, tells the story of his great-aunt Eva who performed in one of first touring productions of Bertolt Brecht’s masterpiece The Threepenny Opera, in 1928. An unusual fiction about memoir, Eva’s Threepenny Theatre won the 2009 City of Ottawa Book Award and was a finalist for the 2009 Rogers Writers’ Trust Fiction Prize. 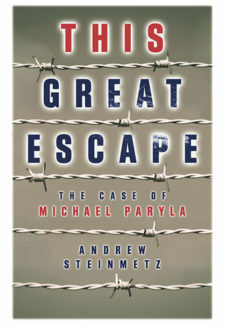 Steinmetz is also the founding editor of Esplanade Books, the fiction imprint at Véhicule Press.